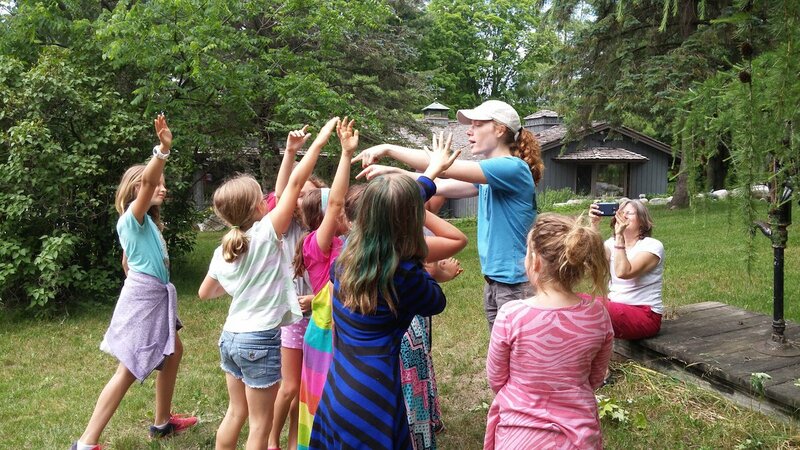 The Mid-Michigan Cluster engages the Ingham, Eaton, Clinton and Shiawassee County communities in conserving native plants and wildlife in all their natural diversity by: Facilitating the sharing of expertise in natural lands management between public and non-profit organizations and the community; Inventorying native plant and wildlife communities; Mapping invasive species and other threats to biodiversity; Planning and performing invasive species removal and natural area restoration; Encouraging community understanding and enjoyment of our native ecosystems through education and volunteering. The Mid-Michigan Cluster covers Ingham, Eaton, and Clinton Counties. Why isn’t Isle Royale a part of Minnesota? 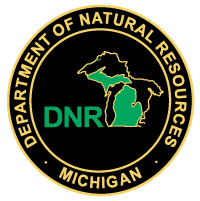 The Michigan Invasive Species Coalition (MISC) provides support to regional and local groups working to control invasive species in Michigan. 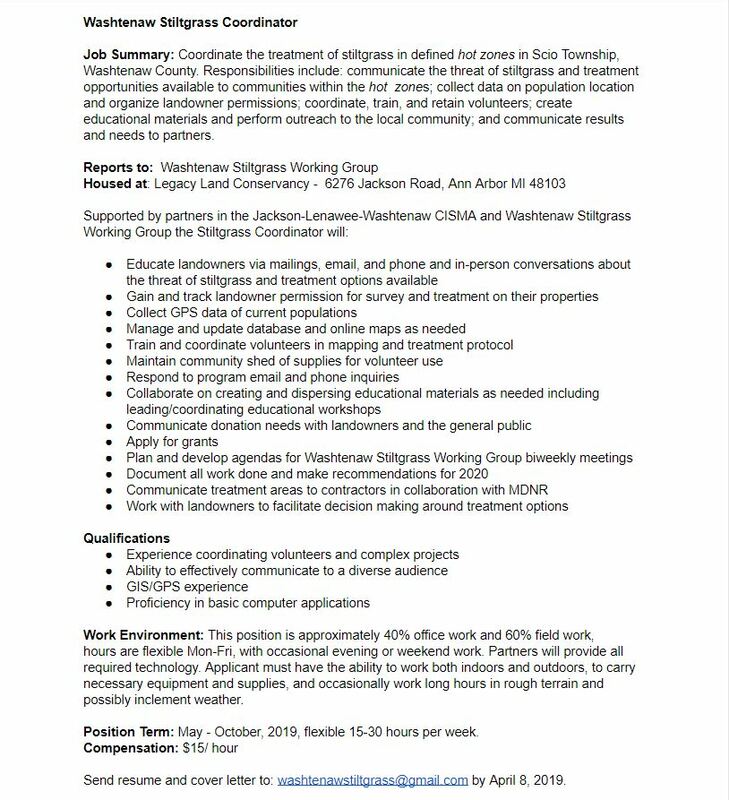 Job Summary: Coordinate the treatment of stiltgrass in defined hot zones in Scio Township, Washtenaw County. 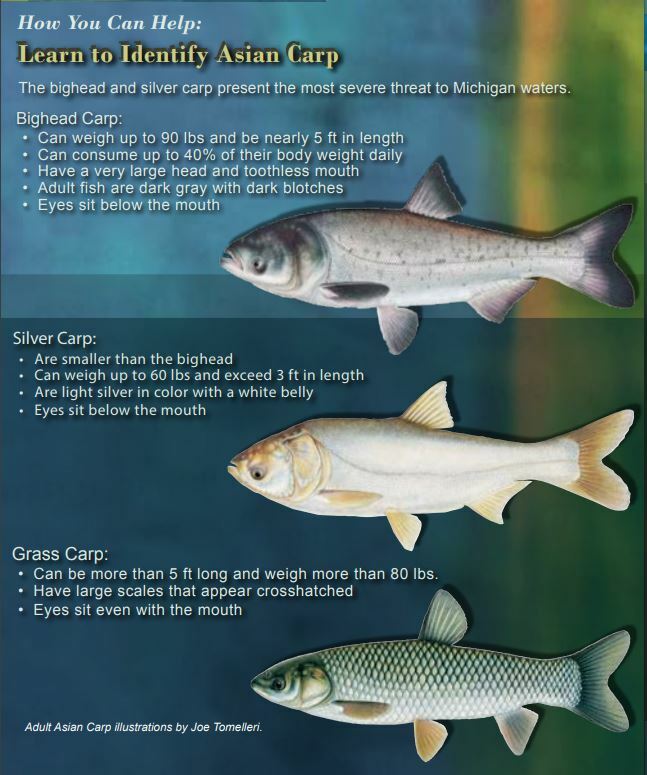 Part 2: Not every organism that is introduced is an equal risk for becoming invasive.